Limousines are famous all over the world for showing off class, uniqueness and status. Although limousines have been around for quite some time now, but they are still very sparingly seen on streets and this is the main reason that heads still turn when a limo drives up in front of a hotel or into a parking space. Rental services in Toronto offer their limos for a variety of occasions and anyone with a bit of cash can hire a limousine to make their day special. Following are the services for which limousines are usually offered. There is no better way to celebrate old friends’ reunion than by hiring the night-out limousine service in Toronto. All your friends can gather around in the same vehicle and reminisce about the old times, while the chauffer of the limousine can take you to all the hot spots in town throughout the night. 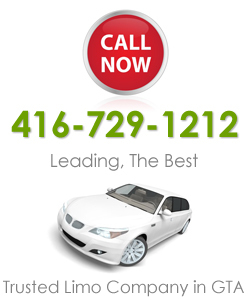 You will be glad to know that our company also provides corporate limousine service in Toronto. It would certainly be a grand way to enter a corporate gathering if you hired the corporate limousine. For a high school teenager, one of the most important nights is the prom night. Throughout the year, groups of friends think about taking their dates to the prom night together. So if you make the most of it – have your friends and date together, then go for the prom limousine service in your city. It is not only the variety of services that we offer, but a big variety of limousines as well. Check out a few of them below. The Rolls Royce Limousine needs no introduction. This limo is luxury all the way; so goes without saying that, yes, you need to have a bit of cash for this one. But if this is a special occasion like your wedding, then perhaps you can make room for it. If you want to go all out, to impress someone, then there is no better way than the Bentley. Also keep in mind that we also offer the services of decorating it in any way you want. Hiring the limousine bus is certainly a unique way of moving as a group. Whether you are all going to your old college for a reunion after many years or you are just starting out on a wonderful and long awaited vacation, then choose the limousine bus. You will be glad to know that exclusive limousine services are also being offered in your city, Toronto. If you want to book a limo with us, then be sure to do it well ahead of time, to avoid hassle.